Achieve peak performance with a powerful SD-WAN solution. Find out why performance matters. As new applications emerge, demands on WAN throughput, efficiency, and reliability increase. 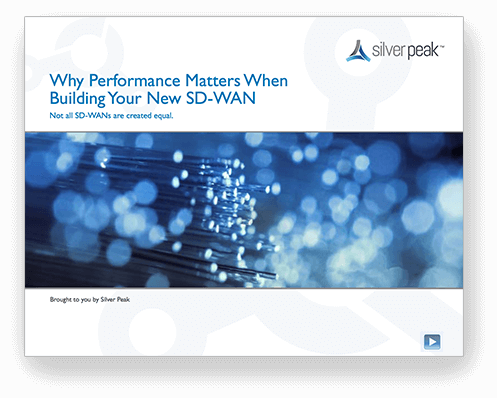 Learn how a performance-driven SD-WAN can significantly improve application performance and Quality of Service (QoS) compared to other SD-WAN offerings. 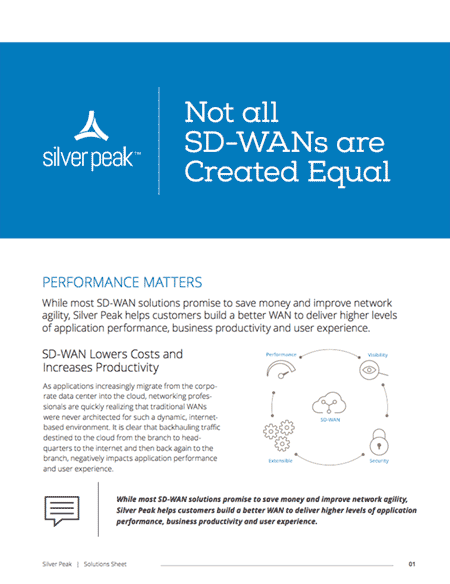 Learn how the award-winning Silver Peak Unity EdgeConnect SD-WAN solution and key innovations elevate WAN performance to the next level compared to basic SD-WAN offerings. In this webinar Industry Analyst Zeus Kerravala goes over key considerations when choosing an SD-WAN solution to deliver outstanding performance and Quality of Service and how Silver Peak delivers a high-performance solution.